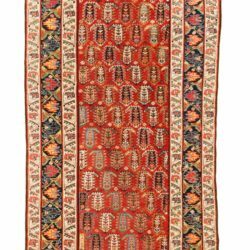 Nahigian Brothers Collection / Antique Persian Serapi 9'10"×14'2"
This Antique Persian Serapi carpet from Azerbaijan area of Northwestern Iran was woven in the late 19th century. The big bold drawing gives this rug a rather striking appearance. 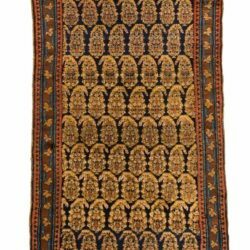 Antique Persian Kurdish Runner 3'6"×18'5"